After Bandelier, I visited Montezuma’s Castle near Sedona, another wonderful cliff dwelling site, this one perched in an alcove about a hundred feet up on a vertical cliff. The building is in good shape, though for obvious reasons you don’t get to go up into it (the park service website has some photos of the interior). I can imagine how much work it took to haul rock and mud up a hundred feet of cliff, but it was worth it. A spectacularly sited building. 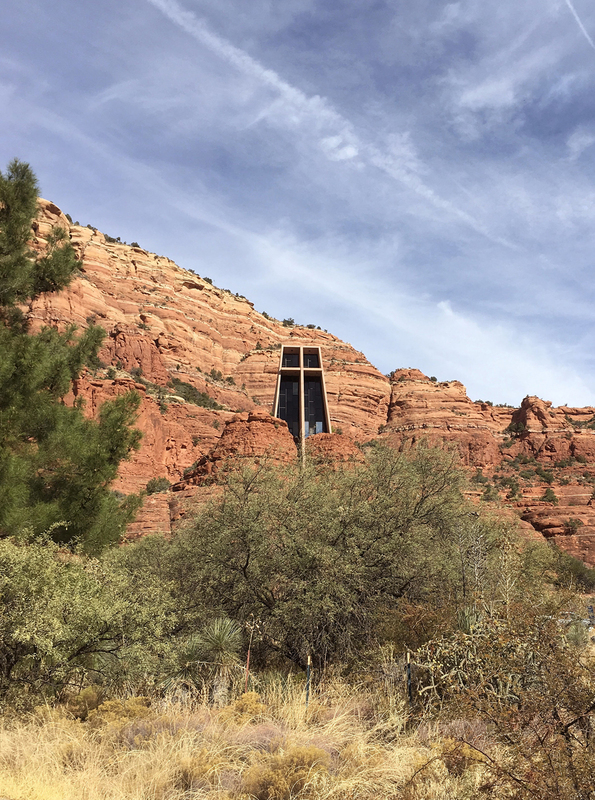 On the same day, I also saw the Chapel of the Holy Cross about ten miles away as the crow flies. Another spectacular little building. 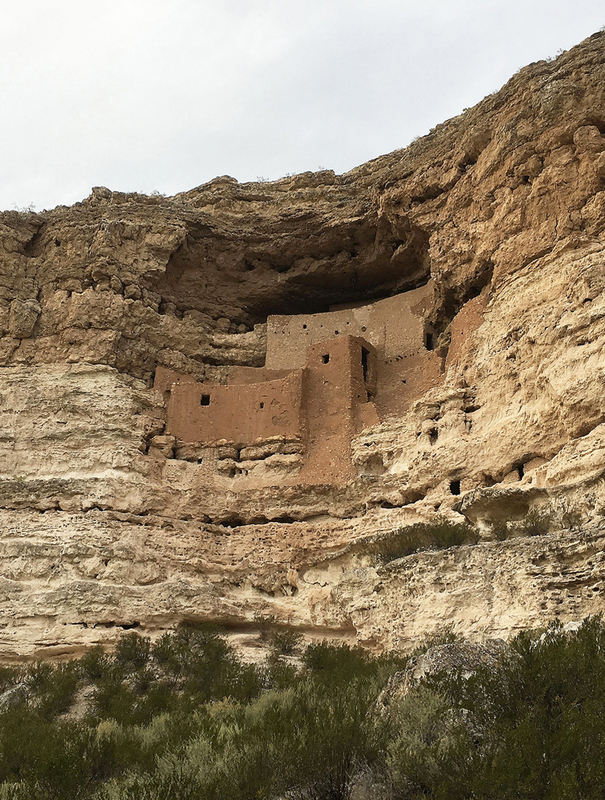 They are obviously from different traditions — I’ve read a few versions of the chapel’s origin story and nothing mentions Montezuma’s Castle as an influence — but I was struck by similarities in the spectacle they both present as they perch overhead on the rock. I love how the cruciform shape is adapted to the contours of the cliff. There aren’t many buildings that do that, so it was striking to look up at two of them on the same day. This entry was posted on Monday, December 18th, 2017 at 8:37 am and is filed under historic, stone. You can follow any responses to this entry through the RSS 2.0 feed. You can leave a response, or trackback from your own site.